George C. Frison is professor emeritus of anthropology at the University of Wyoming and past-president of the Society for American Archaeology. He served as first state archaeologist of the state of Wyoming. Unquestionably the best known researcher on the prehistory of the high plains, he has been responsible for significant excavations of the Glenrock, Casper, Agate Basin, Carter-McGee and Mill Iron sites, and many others. Frison is a member of the National Academy of Sciences and a prolific author. 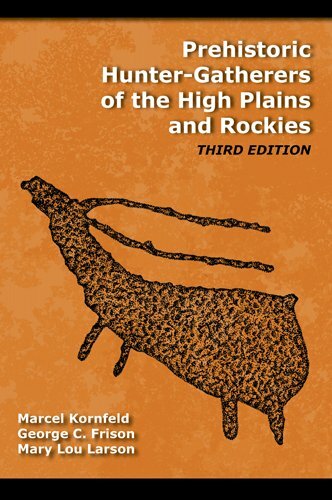 Marcel Kornfeld is a professor of anthropology and director of the George C. Frison Institute of Archaeology and Anthropology at the University of Wyoming. He is the author of seven monographs, most recently On Shelters Ledge: Histories, Theories and Methods of Rockshelter Research, and coeditor of Islands on the Plains: Ecological, Social, and Ritual Use of Landscapes (University of Utah Press 2003). Mary Lou Larson is a professor of anthropology and associate director of the George C. Frison Institute of Archaeology and Anthropology at the University of Wyoming. She has coedited Aggregate Analysis in Chipped Stone (University of Utah Press 2004) and Changing Perspectives on the Archaic in the Rocky Mountains and Northwestern Plains.